If you are interested in the science of dry ice, read on to understand the nature of this useful product. You may already know about all the uses and applications of dry ice, as you may have seen it used in science experiments and even on Halloween to add a spooky effect to your décor. You probably also know that it needs to be handled with care because of its potential danger to your skin. If you are interested in the science of dry ice, read on to understand the nature of this useful product. 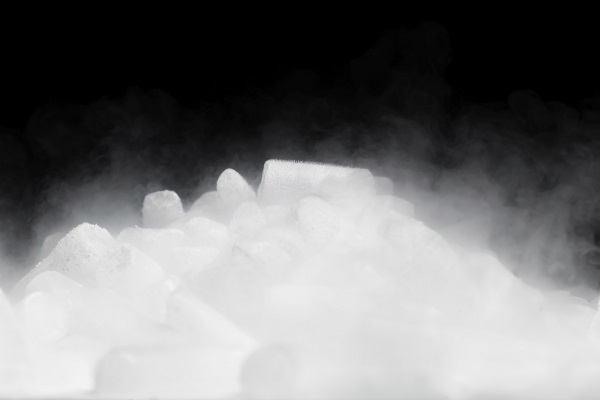 Dry ice isn’t like the ice you have in your freezer – it’s not made from water. Instead, dry ice is essentially frozen carbon dioxide. It also doesn’t melt like ice made from water. It sublimates and breaks down into carbon dioxide gas, becoming the cloudy and cool substance that many people recognize. On the surface, the temperature is -109 degrees Fahrenheit. As previously mentioned, dry ice sublimates rather than melts. That means that it becomes a gas which is better for refrigeration because it doesn’t leave a mess. You can ship frozen products all the way across the country with dry ice, and it will remain frozen. Dry ice can become a liquid, but it requires high pressure. Unlike ice made from water, dry ice sinks when placed in liquids. Many people are curious about how dry ice is made. A high-pressure container is filled with liquid carbon dioxide. When it’s released from the tank, it expands, and the high speed of the evaporation cools the liquid down to the freezing temperature and turns it into a solid. This entry was posted on Friday, February 8th, 2019	at 2:38 PM	and is filed under The Science of Dry Ice	. You can follow any responses to this entry through the RSS 2.0	feed. Both comments and pings are currently closed.